SI officials: What the L y'all gonna do with those buses? Transit﻿ vultures are already circling to scrounge the spoils of the MTA’s aborted L train shutdown plan. 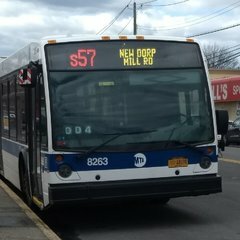 Days after a leaked memo revealed that the agency could scrap a new Brooklyn-Manhattan bus route, Congressman Max Rose (D-SI/Brooklyn) and Staten Island Borough President James Oddo urged NYC Transit boss Andrew Byford to reassign its brand-new buses to Staten Island’s fleet. The MTA spen﻿t $150 million in 2017 to buy 180 articulated buses earmarked for an interborough shuttle along Manhattan’s 14th Street. The route would have repl﻿aced L train service during the 15-month total shutdown the agency had planned to renovate the decrepit Canarsie Tunnel. ﻿ The new wheels began arriving in November, with deliveries scheduled through March. But Gov. Andrew Cuomo’s switch to a partial-shutdown strategy left the vehicles in mothballs, Rose and Oddo said. “If these buses are brought to Staten Island instead, they can … make buses run more frequently, and stop the plague of no-show buses” that rankle the borough’s 9﻿5,000 daily riders, they wrote in a letter to Byford Jan. 28. But with alternate L-train service plans still in flux ahead of the project’s April start date, the bipartisan scavenger ploy is premature, the MTA said. “We appreciate Congressman Rose’s and Borough President Oddo’s advocacy for their constituents,” agency spokesman Shams Tarek said. S40/44 could use them, although I don't think these bendy buses could negotiate the turns whenever S44 isn't on a street called Richmond. Nah, SI routes don’t have ridership for artics. Just add some trips and call it a day. Not to mention, the depots on the Island aren’t equipped to service and maintain them. And lastly, throwing them out there would result in less frequent service. Let’s not forget that YU is about to receive 77 brand-new LFS buses for their local fleet and S79 SBS. Staten Island is already getting new LFSA’s. They need to wait their turn. The mainland is suffering even more than Staten Island plus Yukon is due 77 LFSA’s. Delivery is supposed to start in March. Sorry if I sound a bit bias on this. But which depot is artic ready for Staten Island? Also, I understand the new congressman is trying to do good on the island. However, he really needs to understand how the DOB works. Staten Island is already getting new LFS’s. They need to wait their turn. The mainland is suffering even more than Staten Island plus Yukon is due 77 LFS’s. Delivery is supposed to start in March. bee line neoplans... We bought hand me down Orion's from Bee Line... Why not the Neoplans too? Those Neoplans are probably in better shape than our early to mid 2010s LSFA and XD60 lol. MTA doesn't need them. They may have a surplus of artics (or maybe they dont who knows) with all the new deliveries. Plus I dont think Cuomo would be too happy about MTA purchasing high floor buses . Not to mention we aren't even trained for neoplans. Also, I understand the new congressman is trying to do good on the island. However, he really needs to understand how the DOB works. 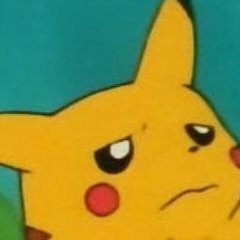 Also LOL @ at new buses making an hell of an difference when the SI express fleet is pretty new and yet the service is still trash. Mostly because trips are missing and buses are breaking down. They’re getting new buses this year anyway. Why on earth would they be bitching about buses? If they’re complaining about no show buses and so on then they need to look at other factors and I’m sure new buses won’t fix that problem. It feels like they are too impatient to wait another few weeks or days for the LFS Yukon delivery to commence. Also, why does it feel like Staten Island needs to jump in front of the line for new buses when they are getting new ones in a few weeks? Like hello, new ones are arriving in a few weeks. It’s not that long. Too bad can't get XDE60's and Bee line got em' ha. I think he also forgot that SI local buses are the youngest in the system. I think it's because it's easier and cheaper to maintain only one or two models of buses that a large variety. I think the plan is to make SI all LFS buses in the long run. I forget it until I get into my apartment. When I leave SI, it'll be like I have Alzheimer's when folks see how much I forget about it. Can't wait to leave SI when I turn 18 in one and a half years. A hour and a half just to get from Port Richmond to The southern tip of Manhattan off-peak, no thanks! The express buses take 45-60 mins but they are expensive. I get why there's more expensive, since they are more comfortable than local buses and gives a direct trip to Manhattan but unlike the other boroughs, the express bus is the only direct trip from any part of the island. A fare of $3.75-$4.50 would be more reasonable for SI express buses. Someone should not pay $6.50 for this horrendous service on Staten Island...missing buses, late trips, SRO, it's like living on the Bx12 SBS, but with multiple branches with the same problems. @Via Garibaldi 8 Knows what I'm talking about. You know...I always heard about Staten Island having a lot of pull when it comes to receiving buses. I wonder if this could possibly shift the order of LFS going to the Bronx. Maybe give Castleton 90 LFS along with YUKs 77 LFS, and call it the day. Send the Orions to the Bronx.